A veteran coach with nearly four decades of experience, Rich has been leading the Wildcats High School Summer Baseball Program since 2015. He started his coaching career at Port Chester High School, where he was an assistant on the varsity baseball staff from 1979-1983. 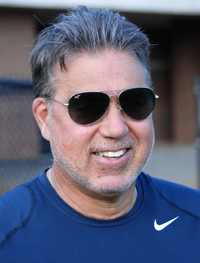 In 1984, Rich was named head coach of the freshman baseball team, where he was charged with developing players for Port Chester’s graduated program (freshman-junior varsity-varsity). From 2003-2010, Rich coached Rec and Travel baseball in the Larchmont-Mamaroneck Little League, winning multiple championships and preparing numerous players to compete at the high school level. He joined a showcase organization, the World Yacht Clippers (now the East Coast Clippers) in 2009 and coached fall and summer teams through 2013. Rich then joined the staff of the HardBall Training Center in Elmsford, NY, where he instructed 18U players from the HardBall and Clippers programs through the summer of 2014. A 1973 graduate of Port Chester High School, Rich was a two-time All-League and All-County News honoree (1972-1973). After being offered a tryout with the Philadelphia Phillies in 1973, Rich was recruited to play baseball at Charleston University in West Virginia. He finished his college career at St. Leo University in Tampa, FL (1973-1975). Ryan went 7-4 with a 2.42 ERA this past season for Pace University, his first as a full-time starter. Through three college seasons, Ryan is 10-8 with a 3.51 with 99 strikeouts. The Mamaroneck High School graduate pitched for the Tigers in 2014 when they won Regional and Sectional championships and advanced to the state final. He was a two-time league Pitcher of the Year and racked up several honors in 2014: Conference 3 Pitcher of the Year, first-team All-State and Journal News Westchester/Putnam Player of the Year. 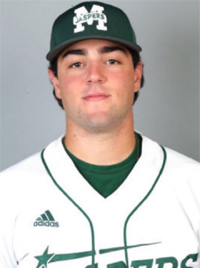 Richie is an infielder who has started 70 games over his first two collegiate seasons at Manhattan. He played his high school ball at Mamaroneck, where he was an All-League selection and named the Tigers’ Most Valuable Player as a senior. 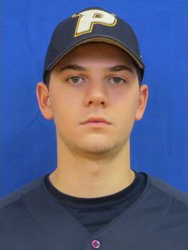 In his one postgraduate season at Canterbury Prep in Connecticut, Richie was honored as the Team MVP and the Western New England Prep Baseball Player of the Year. Alex recently finished his four-year college career at Iona, helping the Gaels to their first appearance in the MAAC conference championship. 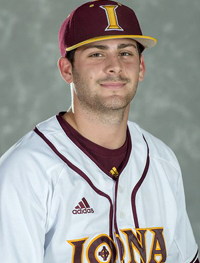 He started 32 games at catcher and served as team captain for the 2017 season. Alex hit .362 in conference play as a senior, with a slugging percentage of .483. A 2017 MAAC All-Academic selection, Alex graduated with a BA in Business Management as well as a Master’s in Marketing. He played his high school ball at Harrison. 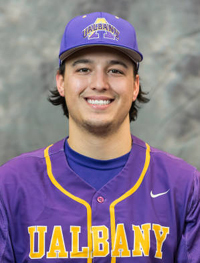 Angelo is a right-handed pitcher who just finished his sophomore season at the University of Albany. He earned fourth-team All-State honors in 2014 as a member of the Rye Neck High School team that won the Section One Class B championship and finished runner-up in the state.